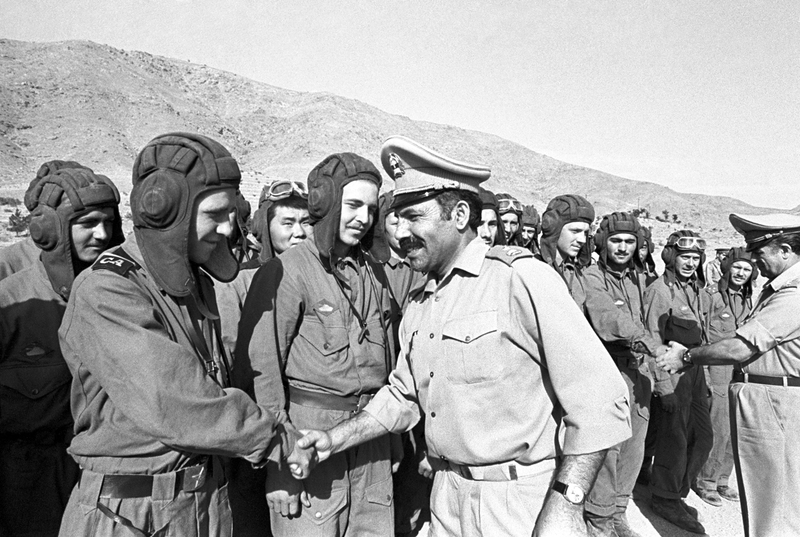 In 1979, Soviet troops entered Afghanistan and for the next decade the USSR was mired in a conflict that eventually caused the country to unravel. The “echo of Afghanistan” rings loud to this day. Afghanistan in geopolitical terms is a strategic place, and throughout its history many wars were fought over the country. In the 19th century, the Russian and British empires fought for control of Afghanistan in what historians call, “The Great Game.” The Afghan conflict from 1979-1989 was a continuation of that “game.” Riots and uprisings on the Soviet Union's southern border could not go ignored. Losing Afghanistan was not an option. The Afghan conflict led to protests around the world, which were fueled by pro-western media. The Voice of America radio station began its daily broadcasts with reports from the front. All means were used to ensure people would not forget that the Soviet Union was conducting an `aggressive' war. The 1980 Olympics were boycotted by the U.S. and its allies. The Anglo-Saxon propaganda machine was working at full strength, creating an image of the USSR as the aggressor. The Afghan conflict allowed the West to turn the tables on the Soviet Union. By the end of the 1970s the USSR had enormous influence in the world vis-a-vis a battered and decaying America that just had been beaten in Vietnam. The American Olympic boycott did not go unanswered, and our athletes boycotted the 1984 Olympics in Los Angeles. The Soviet Union spent about $2-3 billion annually on the war. As long as oil prices were high, the Kremlin could easily afford these expenditures. But starting in November 1980 oil prices declined drastically. In addition, Gorbachev’s anti-alcohol campaign deprived the state of revenues from the sale of vodka. As revenues declined drastically, the USSR was hurtling toward economic collapse. We all know about “Afghan syndrome,” about the thousands of broken lives, about veterans returning from war, useless and forgotten. The Afghan conflict created the “forgotten and betrayed soldier.” This image was atypical in Russian tradition. The Afghan conflict had undermined the morale of the Russian Army, and young men began to dodge the draft. The war inspired horror, and scary legends were spread about it. They sent soldiers there as punishment for misdeeds, and hazing flourished, which became the scourge of the modern army. At this time, the military profession ceased to be attractive. The “echo of Afghanistan” remains loud to this day.